Qgiv has been great for my client during the past few years. It’s simple, easy to use, and easy to get started. It has processed well over $200,000 for me since 2016 without fail. There aren’t enough advanced features and not enough customer loyalty from Qgiv. I would love if there was UTM tracking, perhaps a mobile App (I know you have one for virtual terminal (but one for people who don’t collect in-person donations would be nice). I’d also REALLY like if Qgiv would create a cname and let me use a custom URL for my standalone (non-widget) donation page. I’ve asked about this before and am always charged a huge fee so I’ve just given up on it. This brings me to Customer Loyalty: in the past Ive asked for help on making skins because the widget doesn’t always get the job done and charged a big fee. Qgiv seems more concerned with new customer acquisition than taking good care of their longtime loyal customers. Qgiv has made it very easy for our donors to give online which is where we make the vast majority of our revenue. My one suggestion for Qgiv is to add UTM tracking. We run many different campaigns and sometimes it is burdensome to create lots of identical donation forms with unique links to track donations from different sources. UTM tracking would simplify this a lot. Thanks for taking the time to provide such thorough feedback, Benjamin. We’re so disappointed that you feel we haven’t held up our end of the deal loyalty-wise. We’d love to follow up to get more information about your client using a free widget instead of having a skin, collect some details on UTM tracking, and tell you about our donor-facing app called Givi. Please send us an email at support@qgiv.com so we can get more details, come to an understanding, and make sure you and your client are taken care of. Nothing, I have not ran into a single problem or area in Qgiv that I thought was lacking in any way. I really like Qgiv. There's nothing wrong with this system, my only recommendation is to add even more features, but honestly they have all the features that I need to do my work! I really love that they offer extra services like registration forms for events. It is also great that they block the card info on the profiles after entering them to keep our donor's information secure. The only thing I dislike about Qgiv, is that it doesn't automatically sink to our other software, Bloomerang. We have to manually merge the files at the end of each month. One more feature on Qgiv that I like is that they send me email updates when donors donate. Because we are used to seeing our donor's names each month, this allows me to notice when someone new donates so I can call and thank them right away. Qgiv provides a quality system to allow our nonprofit organization keep track of donors and process donations. Thanks for the feedback! We love that you can navigate the system like a pro. If you ever do need assistance, don't hesitate to contact us. We'd be happy to help! "We have used QGiv for several years now and have alwasy had good experiences wtih them"
The fact they are very responsive to questions and requests for assistance. We also like the fact the are local to us. We wish QGiv was able to charge the merchant fees so the person making the charge was accessed those and we did not have to note we'd be adding that later. Many do not pay attention to our note and then we sometimes end up loosing the fee - for instance a $1,000 sponsor who pays online, who disregards our message about adding 4% fee, never pays us the 4%, but we have to pay the merchant fee. Many products are available that offer the same options and services, but, the quality of customer service is what sets QGiv apart from others. We are able to do online reservations for events, and, take payments and donations which we were not able to do prior to QGiv, this is a must for us! Hi Susan! Thank you for the feedback. A few options you can take into consideration as far as the merchant fees is to use GiftAssist or building that cost into the fees to offset the transaction costs. Our Customer Experience team would be happy to walk you through this if you need! Just reach out to support@qgiv.com. After having a very, very painful experience with our previous vendor, Qgiv came as a pleasant surprise. We had NO idea it could be so easy and idiot proof! It is easy to work with Qgiv’s forms on the back-end and we find it very time-saving and intuitive. On the front-end the forms are seamless, mimicking our website—a big bonus. It is great to be able to instantaneously adapt forms and acknowledgements and know that they are sent out immediately. Would like to be able to sort and store forms in folders rather than having to scroll through all to find one. It is a great way to efficiently deal with donors with as many (or less) touch points needed to create a very pleasant donor experience and look very, very professional to boot. We value our donors and their information above all, and, from the beginning, have felt like Qgiv is right there beside us. Trust is obviously a big thing for us and is something we have worked hard to attain with our donors. We needed to know that every donation would be processed accurately and in a timely and secure manner. Qgiv provides that for us. Ah, we're sorry you had a tough time before working with us. We promise we'll always be responsive if you have questions in the future -- for now, we're really excited to hear that you're enjoying the platform! "great product and amazing support!" Qgiv has all the functionality we need and more. But the best part is the excellent customer support! Questions are answered and problems are solved quickly and thoroughly. Qgiv does so much that sometimes it takes me a while to make simple changes. But a quick search of the support videos usually points me in the right direction. My only true complaint is that database integration (Bloomerang, in my case) is not included in the Start and Grow packages. It would be simpler if it were built into all the packages. It is weird to get billed monthly for the database integration and quarterly for the Grow package. But, obviously, this is not a deal breaker. Try it! You will be impressed with Qgiv's customer support. It may be more expensive than the product you are using now, but you will save loads of time. We raise more money, and we spend less time doing it! Qgiv exports donations directly into Bloomerang, which means that donations are posted quickly and accurately. The donor experience is also quick and easy. I also like being able to issue refunds, edit recurring donations, etc. myself. The front end experience is good for the donors, and the back end experience is good for me. Thank you, Kristin! It's great to hear that your donors are having a better experience and that donations have increased. **happy dance** Let us know if you need assistance with anything! "Great for running a fundraising campaign or event." Very easy to set up and customize an online giving form. Administration is very straightforward. I set up an online giving form for my school's website in less than hour, without any need for training or help. When I did need help with one question, QGiv's helpdesk was very quick to respond. It would be good to have a few more color and background options for the giving thermometer. It would also be good for the software to automatically create a donor record, even if the donors do not sign up for a QGiv account. Lastly, it would be helpful to have an option for future recurring payments to count toward a giving campaign's thermometer goal. The collection and administration of a giving campaign for our non-profit elementary school. In years past, we have collected donations almost entirely through check. By establishing an online giving form through QGiv, we have made it much easier for donors to give and much less work to administer the campaign (i.e., collect payments, measure progress, send thank you letters and receipts, etc. ), as the QGiv platform does all of this automatically. Hey Mike! Thanks for the great review. Custom color codes for the thermometer fill can be entered in Form Builder. If you still need assistance, please reach out to us and we can walk you through it. Also, you can send feedback on donor records and future recurring payments to support@qgiv.com! "Best user friendly platform for admins, participants and donors!" The best feature of Qgiv is the ease of use for the end user/fundraising participant. The onboarding/registration process walks the user through the process with no confusion. This is the first fundraising platform I have used where both the fundraising participant and donors are not calling our office every day having trouble registering or making a donation and this then returns less hand-holding by my event staff to walk these individuals through the process. In this way, it feels like the platform runs as it was designed, to raise funding. I do wish that for a mobile auction module to be added. Then I could manage a golf tournament or gala event on this same platform with a silent and live auction. More use at one place. I would highly recommend Qgiv to those considering to peer-to-peer fundraising in their development strategy. The excellent customer service, demonstrations for the set-up, very easy to use on the backend even for those not experienced in fundraising software platforms. Qgiv's pages are laid out in a very clean visual layout which makes the visitors experience more enjoyable as well. Having the "Gift Assist" option for the donors to opt-in and cover the merchant processing fees is a BIG deal for us as a non-profit. The merchant processing fees are a usual cost of doing business. Our donors saved us about $7,000 in our merchant processing fees last year, that decreases our event fundraising expenses. WIN-WIN! Rose, we are SO happy to hear that your donors have no issues when registering for an event or making a donation. Also, saving $7,000 by using GiftAssist is a huge deal --yay! As for auctions, our developers are currently hard at work building this feature that will be ready in early 2019. "Great Affordable Way for People to Give"
I love the simplicity of the dashboard on Qgiv. I have always experience extremely professional and courteous service when I had questions or required help setting up new forms etc on Qgiv. As a non-profit, I'd like to see a lower interest rate for transactions, however I appreciate that the interest rate is consistent so at the very least I can anticipate my monthly fees. So easy to use and implement. We are a small staff and need something that is consistent and reliable and requires little input once set up - this is a great tool. I am able to provide a user friendly platform for individuals who want to donate to our organization. It is simple but it also provides an opportunity for our givers to set up their own individual account which allows them to track and update their giving which is more user friendly for the giver and eliminates some of the work load for staff. Thanks for the awesome feedback, Nancy! We're happy to hear how easy it is to use for your staff. Let us know if we can help with anything! Building and placing gift forms is really easy. Also, the Qgiv team is great at communicating, walking you through set up and use and then continually following up to make sure you are working successfully. It's a great tool for a great price. The online forms associated with our major CRM system were archaic and difficult to configure and didn't inspire trust in our donors who visited our giving pages, so we decided to utilize Qgiv for all of our online giving. With our first major online appeal directed to our Qgiv forms, we received as many online gifts in one month as we had in the entire previous year. Hey Holly, we're excited to hear about the increase in online gifts within just a month! That's incredible. Thanks for letting us know things are going so well. As always, never hesitate to reach out if you need help with anything. Easy to use amongst a team of people. Also very organized and easy to track sales and donations. Can easily export events to excel for quick searching. Can easily resend confirmations out to event attendees. Whenever there is an issues, customer service is great at responding quickly and in a professional, yet personal matter. They work hard to make sure every issue is solved. You get a real person on the phone, always super friendly. I like how the widget features lets us embed our events directly on our website so that users don't have to click through many links. There's not much to dislike! I can't think of anything that bothers me about qgiv really. They are a great company. QGiv is good across the board, no matter what company/non-profit you run. It can be implemented in many ways. It is great for selling tickets to events/fundraisers. We use QGIV to promote Museum events, to sell tickets to special events, and for donations. It is easy and quick to change pricing on events, to limit how many tickets are sold for each package. They make the implementation of using promo codes very easy as well, and with multiple promo code options so that you can track which promo code/market performs better. Thanks for such in-depth feedback, Chelsea! We're so glad to hear that our platform helps with the logistics of your events. We appreciate your support. Let us know if you ever need anything -- we're always here to help you every step of the way. "Qgiv makes my job so much easier!" Qgiv allows me to provide a form for folks to register for events, register for volunteer opportunities, and give to our organization in an easy and seamless process. I can have the Qgiv forms linked to our website or simply email the links directly to those invited to events. We have summer camps with three different weeks and we offer discounts based on the number of kids per family and the number of weeks registered. To do this through Qgiv, it was a very confusing and time-consuming process and it still didn't work exactly like I had envisioned. I highly recommend Qgiv to any organization looking for a donation/event program. Our experience has been great and they always get right back to me whenever I contact them with questions. Their video help section is also very beneficial. Thanks for the feedback, Rose! As far as different discounts, this isn't something we can support at the moment. But, we'd love to hear more from you regarding this so that we can record this and work on it as an enhancement! You can send the details to support@qgiv.com. We are currently using the 'free' version of QGiv, and started using it one year ago for the registration of a major fundraising event for our non-profit preschool. There was a slight learning curve to understand how to put together the forms and events, but now it is easy to use. Customer service was fantastic and helped me put together our first event. Payments were processed quickly, easily, and without hassle. I had some trouble getting the information I needed to write end-of year thank you/donation letters to those who participated in our event and made donations during registration for the event. The reports only provide some of the information I needed, so I had to use other methods for my letter writing. I imagine the kind of report I'd like is available in one of the paid versions of QGiv. The biggest problem QGiv has helped us solve is simple the ability to accept online donations and create the ability to purchase tickets for events and other fundraisers. Hi Susan, thanks for such in-depth feedback! We're glad to know that you're happy with our platform. We'd like to hear more in detail about what you feel is missing in reporting so that we can further assist you! Email support@qgiv.com and we'll be happy to help you. "Great online donation platform! " Qgiv has been great for our foundation. Its easy for donors to use and easy to pull reports. Their support staff is super helpful and continues to check in. Being able to brand the forms and auto-response emails has been a huge help with informing our donors about our mission and cause. I wish more people knew about Qgiv and how great the platform is. It took awhile to find the platform as there are so many options out there and the Qgiv platform was not included in many of the sites I did my research on. Support is helpful and replies quickly. They also check in randomly to see if there is anything they can assist with. Being able to integrate the donation form with our branding is great so donors aren't confused. Reports are easy; our organization is all volunteer based and not everyone is technology savvy but everyone has been able to access reports with ease. Our biggest issue was donors being able to make their gifts in memory/honor of an individual and with Qgiv it is a built in solution. Using our branding and messaging on the forms is helpful with getting our mission out to our donors, especially donors who are giving their 1st donation to our foundation. You just made our entire day. Thanks so much for this generous feedback! Being able to brand your forms makes such a difference and we're glad to know having this ability is benefitting your organization. We'll always be here to help every step of the way. "Highly Recommend Qgiv for P2P fundraising"
Qgiv has excellent customer support, website functionality, and price. Qgiv's customer service not only promptly helps with questions about your Qgiv webpage but they will help strategize for your fundraising campaign and offer suggestions. The Qgiv fundraising platform's website is great. It's very easy to use, customize, and track donors and participants. I appreciate how the website builder does not require knowledge of website code as I do not. Overall the price of Qgiv is a great value too. I researched a variety of peer-to-peer fundraising platforms and Qgiv is very well priced and is one of the most affordable options with still having all of the functionality of the other sites. There are two things I dislike about Qgiv: requiring a unique email address for each event participant and not requiring the full address to match the credit card information. When a family has multiple children who wants to do an event it is challenging to require all of the children to have a unique email address to register with. Also, I realize it is somewhat at the credit card bank's discretion of how to confirm credit card information but I would appreciate if Qgiv or their processor Litle would increase their confirmation of a credit card by ensuring the credit card matches the full billing address. This full address verification would help us know with certainty what the donor's billing address is. I would do your research on a variety of peer-to-peer platforms. Some platforms specialize in certain features and all will have their unique appearances and functionality. After collecting a lot of information and watching demonstrations on a variety of platforms, I determined Qgiv best met our needs and was in our price range so we were very happy to go with Qgiv. We want to increase our peer-to-peer fundraising for our organization and Qgiv has been a great tool to help us do that. Thank you for such in-depth, great feedback! Currently, with our global account system, a unique email is required as the fundraiser's username to login to their fundraising center and manage their unique page! If a unique email address wouldn't work, children can join teams as a non-fundraising participant so they are still included in the fundraising fun without managing their own page. If you have additional feedback we would love discuss other options that might better suit your needs. You can send this to support@qgiv.com. I greatly appreciate the customer service (no delay when calling to speak to a "live", knowledgeable person), the appearance of the "giving page", the ease of use from a donors view, and the ease of use on the dashboard from those of us "behind-the-scenes". There's not really anything that comes to mind. Continue to use it. If online giving is new to your organization, allow time for folks to use it. This platform is great for our ministry - giving of slightly over $100K/year. There no business problems that have been solved with Qgiv. This has proven to be a great tool, an additional giving platform for our church's ministry. Thanks for the great feedback, Cole. We're glad to know that Qgiv is helping your church's ministry! Please don't hesitate to reach out if any concerns arise. I've used Qgiv at three different non-profits now, and I absolutely love it! The tools are perfect for the small to medium-sized organizations I work with, including ready-to-go forms, messages and events, PLUS great options for customization. And their customer support absolutely cannot be beat! Their support team is responsive, knowledgeable and always open to feedback for improvements. Nine times out of ten, I can make Qgiv meet the multiple needs my organizations have - training registrations, silent auction checkout, etc. Every once in a while, I just can't make something work flawlessly, even with the awesome help from the Qgiv team. But if my biggest complaint is that it doesn't solve my every problem, it's clearly a GREAT solution! Whether you're web savvy or not, Qgiv makes building donation and event registration forms pain-free. I highly recommend if for small to mid-sized nonprofits (where I have experience!). Qgiv helps my non-profit clients collect donations quickly and easily, with a smooth process for our donors and easy-to-use reporting that our development and accounting teams can always rely on. Being able to create multiple giving pages quickly and easily ensures that we're connecting donors with the programs that matter to them most. Thank you so much, Julie! This review put a huge smile on our face. Thank you for working with us and for sharing your experience! "Qgiv is more than a tool"
Qgiv's exceptional customer service and eagerness to constantly grow and improve make them more than a great product. They feel like a partner. It's easy to create and manage multiple donation forms, events, and campaigns with customization for each. Administrative rights and notifications can also be allocated per form or event. The app and card readers are so convenient for onsite event registration, sales, and donations. We like to push the limits of Qgiv which means it can't always do exactly what we dream up, but Qgiv listens to our requests and input. They offer alternative solutions while they work towards implementing improvements. Qgiv helps our nonprofit easily accept online donations, sell tickets to events, do peer-to-peer fundraising, and sell merchandise. The tools they provide and the customization that is available allows us to grow our online income and keep up with the trends in online giving so that we can continue with our mission. Thank you for sharing this! We're so happy to hear that things are going well. And, honestly, we LOVE it when our users push the limits of our system. We really want to have a platform that accommodates our clients' visions and ideas, and feedback like yours is the only way we can do that. Thank you for helping us make Qgiv even better. We couldn't do it without you! Qgiv is inexpensive and works great. Customer service is good as well. We're super pleased with our decision to move to Qgiv! Sometimes navigating the system can be a bit confusing - not super intuitive. It can take me a while to find what I'm looking for, and I don't always know if what I'm looking at is what I need as it seems like there are multiple versions of the same thing (i.e. recurring donations - there are a number of ways to look at these donors, but they all look a little different and provide different information). This is a great platform at a great price! Processing donations easily, with less manual work, good user experience. We're happy to hear how pleased you are, Lupine! Thanks for the great feedback. If you ever need assistance or extra training, please don't hesitate to reach out to our Customer Experience team at support@qgiv.com. 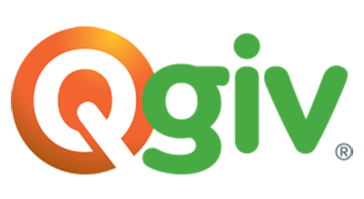 "Solid, Reliable, Online Giving Platform"
qGiv has a very clean user interface that is uncluttered and easy to learn. It's a shared platform, so features are the same for everyone. This isn't a complaint, just a difference from having a custom-built solution. The product continues to be developed and updated and they do an excellent job tracking and following up on suggestions from users. Check to make sure that qGiv integrates with your donor management system if you have a seperate system. qGiv integrates directly with our donor management software, which saves us significant time and effort bringing in donations collected through other online solutions, like PayPal, Truist, etc. We take all of our customers suggestions seriously and want to give you the best possible product at all times. With that being said, we can promise you'll always see updates to be sure of this. Thank you so much for the feedback, Patrick. We're happy to hear that you've had success with integrating our platform with your donor management software! "Amazing and Powerful, Best Processing Software Yet"
I love how easy to learn and use Qgiv is! The entire interface is user friendly and easy to use for even the least tech savvy staff! The only thing I wish Qgiv had was a built in CRM database, but as far as I've seen, that's the only piece missing for us. Make sure that you have all of the documentation you need upfront so that you can make the process as streamlined as possible. Qgiv gives us the power to accept online donations without paying for an expensive software like eTapestry or Salesforce, it makes taking online donations quick, easy and beautiful. Woohoo! We're glad you've had an easy, cost-effective experience with our platform, Elizabeth. Thanks for your support, we couldn't do it without you! While I don't often have issues with Qgiv, I find that when Issues arise I am always pleased with their customer service. Their responses are quick and informative, allowing me to resolve problems in a timely manner. Sometime's it can be difficult to figure out all the little ins and outs as there are a variety of features associated with Qgiv. This circles back to what I like best - any time I've had an issue or question the customer service team is able to assist me. No hassle and no wasted time. If you have a question, ask. The customer service is top notch. Many of our donors are older and not computer savvy. This occasionally leads to user error (choosing monthly donation or accidentally submitting the donation twice). Again nothing a quick email to customer service couldn't fix! There's nothing that we love hearing more than how pleased people are with our customer service. Thanks for the feedback! If there is anything else we can assist you with, let us know. We truly enjoy getting the chance to talk to our customers. It's easy to use, and the analytics are fairly robust. Also, there are many resources for learning how to use it, and the customer service is exceptional. When I first started at this company, Qgiv was already in place, so I had to take over using it. I asked for training and got a one-on-one live webinar with a training pro. It was a great introduction to the platform and the perfect help to get me started. I wish it could provide more customer relationship management (CRM) tools, so we could easily reach out to our donors through Qgiv rather than having to export our data to a separate CRM. Also, I'm not sure the analytics includes everything I want, but I still need to spend more time on that. We are a nonprofit and are using Qgiv for online donations. It's easy for donors to use, and they feel confident that it's secure. The app seems easy as well and will be handy for ongoing donations. Thanks so much for the feedback! So glad you found the one-on-one training valuable. If you'd like to set up another session to go over analytics, send us a request at support@qgiv.com. We'd love to help! It is hard to decide. We love being able to use Qgiv for registration forms as well as donations and pledges. I really like being able to embed the forms on our web page and having a consistent look and function across all the forms. Customers really like having the account option to help them track information as well as simplify filling out future registrations. We haven't tried the fundraiser thermometer yet, but hope to be soon. I don't like having to have a "package" or one-time donation on every form. Sometimes, a simple registration form feels cumbersome and bigger than it needs to be. It seems to be difficult to get custom fields and event specific fields to both display correctly. Especially for smaller non-profits wanting to have their donation and registration forms on their website, this tool is fantastic. You have the option to use a free version which has tons of functionality and only pay when financial transactions occur - which you can request the donors cover. If you want to upgrade, you can do so for just the amount of time needed, such as 1 or 2 months for a specific fundraiser, then transition back to the free version with no penalties. Allowing clients to complete registrations online, purchase early bird tickets to events, and print reports of registered attendees. For our last fundraiser, we were able to print a report of pre-purchased tickets. This allowed us to have their bracelets available for pickup without them having to bring any confirmation with them. Thank you for the great feedback, Teresa! If you haven't already contacted the Customer Experience team for assistance with custom field display, send a quick email to support@qgiv.com. They'd be happy to take a look! Can't wait to see how using a thermometer works out for you! The ease of use of Qgiv is amazing. It really is great for beginners and advanced users alike. But my FAVORITE thing is the amount of function you get under the free plan. Amazing! The inability to make independent qgiv form pages look pretty haha. I know the idea is to embed the forms on another website but sometimes I would like to just create a form and not have to embed it and be able to cutomize the look of it ie the background etc. Do it! The fees are comparable to other platforms but they allow you to add the option for the donor to cover the fees if they so choose. Fundraising. Before we were not tapping into online giving at all. This has opened a new revenue stream. Thanks, Alexandra! Isn't online giving amazing? We're so glad our platform has helped you expand your reach so that you can focus on the world-changing work you do daily. If you ever have questions or concerns, reach out to support@qgiv.com. We'd be more than happy to help you. "Great product - some big integration challenges"
It's so usable and logical. I like the flexibility and the user interface for our donors. And I like that it integrates with our donor database. I like the event management tool. We've had enormous challenges with the integration with Exceed Beyond. I think we are the only users who are using the product this deeply, as far as the integration goes. I was determined to make it work, though, and the support staff has been very responsive. Given how long it took us to get things up and running, I would have appreciated a discounted rate for a few months or something. I felt like a free beta tester. We need to have an online donation platform and Qgiv fills that role. People have found the interface easy to use. Thanks so much for the feedback Esther! I'm so sorry about the trouble you had with Exceed Beyond. I was actively involved in trying to get that sorted for you and we continue to work with their team to streamline this process and ensure that clients don't have these types of issues. It sounds like things are much smoother now but please reach out to us if there is anything else we can help with. Thanks again for the honest feedback, we love having you as part of Team Qgiv! "Great standalone product, just doesn't integrate with Raiser's Edge"
Qgiv is easy to use, very intuitive, and has Givi, the donor app. This is a great way to put the donors in control of their money. The staff is also very friendly and truly gives you the feeling that they care about your experience with them. Anytime I reach out to the help desk, I get a response in under an hour. It doesn't integrate with Raiser's Edge, and that's the only reason why we don't fully use Qgiv in place of Online Express (a Blackbaud product). We are running our sustained giving program through Qgiv because it has the ability to automatically charge cards, which Raiser's Edge does not. We are also running donation registration through Qgiv because we don't need that in Raiser's Edge. Thanks for the great feedback, Emma! We definitely care about all of our customers and only want you to have the best experience. We're happy to hear that our platform is helping your organization's sustained giving program as well! Please never hesitate to reach out if you need anything. "I'm new to Qgiv; but here to stay!" The support I received was great and timely! Although the EFO has used Qgiv in the past, I am new to the role and the Qgiv platform but am looking forward to learning all about the site's capabilities. The support I received when I contacted Qgiv with questions was excellent. Very friendly and helped me navigate the system with enough detail - but was not overwhelming. There is nothing I dislike about Qgiv. As mentioned, I am new to using this platform but from what I can see so far, Qgiv has numerous functions that I feel will benefit the Education of Ottawa Foundation. We have the ability to have an online donation platform as well as event registration for our fundraisers. The possibilities are endless! Hey Clarissa! Welcome to the Qgiv family. We can't wait for you to dig deeper into our platform and become a pro! Never hesitate to reach out to us if you have any questions or need additional training. We're here to make sure you're as successful as possible. "Full featured and easy to use - a difficult combination to achieve"
I have always enjoyed the qgiv suite of products. The interfaces for each product are well thought out. Even early versions showed how much they cared about the end-user, both the donor and the fundraiser. I would like a few more opportunities to customize my donor flows on my giving pages. The evolution of Qgiv has provided more customization in every update, so I know it will be coming soon in some capacity. In my current role, we have a small fundraising program, but I have used Qgiv at multiple nonprofits and will continue recommend to other nonprofits. I think Qgiv is a great step from a basic paypal setup to a full feature online fundraising platform. I appreciate the easy interface, especially when training new staff. Ease of use, easy setup, for the most part. I was set up with a representative who showed me all about the software, and was very helpful in getting our account and event set up. It looks like a fantastic platform for peer to peer fundraising, and we plan to use it for that. I see how it can be very successful. It has a robust built in web designer for donor pages, and also can integrate seamlessly with donor database software. My only dislike would be that the shop section, where you can sell items could offer more. It would be nice to offer tracking for packages for donor gifts. Do not skip the demo that they offer. We mean to use Qgiv to fundraise for various events or initiatives throughout the year. This would be with event pages, with some peer to peer fundraising, and potentially taking donations on site with a mobile device. "QGiv provides many options "
I like that I can have an on-going account for donations but then for expand to a 3 month peer to peer account. This provides a service at a reasonable charge. I am also able to update the account and receive good service to assist. There are some limitations. For example, the promo codes can't be limited to one purchase. It's consistent and provides quality support. On-line fundraising is essential. QGiv provides a consistent product with good reports. Thanks for the feedback, Jeri! We love hearing that moving from one plan to another without being locked into a contract makes things easier for you! After taking a look at the enhancement task for limiting promo codes, it looks like your request has already been logged and you'll be the first to hear about any movement we have. Thanks for being a loyal client! "Great, easy to learn software"
Exceptional customer support team made learning the software very easy. Any questions I had were answered promptly. Even email requests were handled in a very short time. Paying additional fees on top of what we already pay to the credit card company. They have great, customizable, donation forms that can be embedded directly into your website. Original purpose was to use the text to give feature. We have begun exploring using different customized forms which are fantastic. We're happy to hear that you've started exploring outside text-to-give! That's great, Diane. Let us know if you need any help or additonal training by reaching out to support@qgiv.com! Thanks for the great feedback. "Review of Qgiv platform "
The excellent customer service and text fundraising option. Users cannot delete forms have to go through customer service team. The thermometer function cannot be used across multiple forms. Qgiv is providing more than just a great product with quality training, and even better customer service - they are also providing professional development and training concerning a number of fundraising topics. Investing in their clients by adding value through webinars and other trainings shows their commitment to not just the their clients, but the nonprofit sector as a whole. Problems we are solving have to do with better form design and with more targeted ask. Benefits are other collection platforms to receive money from donors, especially when we experiment with text giving over the holidays. .
Hi there! Thanks so much for taking the time to leave such an awesome review! I'll be sure to get the areas of concern documented. I know we have talked internally about giving more control to organizations as far as DELETING forms but DELETE is a scary word around here. Feel free to reach out to us directly with any additional feedback at support@qgiv.com or by calling us directly. Thanks again! When setting up our online donation buttons, QGiv was so helpful in every way. They were patient with me and explained what they needed to help me succeed. Honestly, there is nothing I don't like. QGiv was recommended to us by a trusted colleague and now I can recommend it to others! We had a major campaign and wanted the online presence which was so helpful to our donors who live far away. We were able to reach our goal with the help of the online piece. Thank you, Rose! We are so glad your last major campaign was a big success! We're honored to have you spreading the word and want to be sure you're rewarded for your referrals. Be sure you're submitting via qgiv.com/refer so we can take care of you! I like that they answer the phones when you call, can easily help you without being transferred to several people and it's so user friendly. Credit card percentage rate, but not enough for me not to use their service. Qgiv has benefited small churches and church conferences that only have so many events a year. The option to pay per transaction means we aren't worried about paying for services we aren't using. Answering the phone is easy when we love all of our customers so much! Thanks so much, Kyra. We'll always be a phone call away whenever you need assistance. "Qgiv is an outstanding online service that helps us receive donations and registrations for events"
Great company! Easy to use with excellent security!! Thanks, Laurie! We're pretty pumped that creating forms is easy for you, and that you can find the answers you need! We're dedicated to making sure everyone on our team is a product expert, so thanks for the feedback about calling in. "Knowledgeable, patient, and great customer service!" I am quite new to website work and every time I call, the staff has been very patient with me. The thing I probably like about that the most is that they never make me feel like I should know more than I do! There have been a couple of things I was hoping Qgiv would be able to do, but couldn't. We have been able to work around those though. We are using Qgiv for taking online donations and event planning. We utilized Qgiv for an event for the first time this spring. We never realized Qgiv would help us with event registrations and it was wonderful! We just went live today with our second event. Hi Debbie! Thanks for sharing your experience with us. It makes us so happy to know you've had success with your events! We're glad you worked around some issues, but please let us know if we can do anything. You can email support@qgiv.com if you ever need assistance. Qgiv has incredible customer service. We appreciate that if an issue arises, it's easy to get someone knowledgeable on the phone. We've had a number of odd questions since we use this for two different 501c3s and they have been able to help us every time. Our only problem is that the integration with MatchMaker doesn't include some of the less-common information that we collect, but we know that's a specific issue! There really haven't been major complaints at all! We use Qgiv to accept donations and make the donor platform more streamlined and on-brand. We appreciate that we can include multiple "custom fields" to gather information when we need it. Thank you for the great feedback on how you use Qgiv with two different nonprofits! We're happy to hear that it streamlines your processes! Since you submitted this review anonymously, we can't reach out privately to assist with the MatchMaker integration. That integration is built and maintained on the MatchMaker side, so you'll need to reach out to them to address any concerns or give feedback. Please contact us at support@qgiv.com if you need any more information. "Increasing online fundraising capabilities with simple platform." One page collects all the necessary information and can be embedded with our website. Awesome customer care. Not much. We are small so at times it is difficult to remember some of the functionality but it doesn't take long to get back up to speed. The forms and events within forms is confusing for me. Do your homework and compare platforms. Get reviews from people actually using the product. Find organizations using the platform and try it out yourself. I think for their offerings, they are competitive. What sets them apart is their customer support. I receive quick responses and they follow-up consistently. Their employees are always friendly. Increased individual donors. Increased recurring donations. Ability to sell event registration online. Thanks for the great feedback, Carrie. We LOVE hearing that recurring donations were increased -- that's amazing. Please don't hesitate to reach out if you're still confused with the forms and events by emailing support@qgiv.com. "Qgiv is our provider for online donations"
I have not found an easy way to sync the info in Qgiv to Quickbooks. I think part of the issue is a bug in our current version of Quickbooks, but even when it was working I could only sync the actual donation amounts and not the donor names into Quickbooks. The biggest is online giving, as mentioned above. But we have also been able to do event registration and even product sales directly through the website. It's helpful to have these options in one place. Thanks for the great feedback, John! The donor name should be exporting to Quickbooks, but the issue could be with the version of Quickbooks that you have that might not be working with our integration. We'd love to help you with this issue! Feel free to reach out to our Customer Experience team at support@qgiv.com. Qgiv gives you access to all the tools necessary to create, manage, and analyze fundraising efforts in a user friendly way. Everything you need is presented in a simple and readable layout. The dashboard is clean and easy to navigate. The flexibility to use a donation kiosk allows for further opportunities to reach out and brand yourself. We experienced some donation issues at our past conference. I was unable to determine if this was a system error or user error. We did miss out on some potential donations. Thankfully we had alternative methods to give, the standard donation envelope. These problems could persist as our conference demographic tend to lean more to older audiences who may not be as tech savvy. Ease of use, the detailed dashboard and helpful graphics. The mobile kiosk is great! We initially used a different text-to-give donor system. We ran into many issues when it came time to running reports and processing acknowledgements. The information needed was difficult to find and simple donor searches became an arduous task. Sorry to hear about the issues you had! As always, if you provide us with the details of the situation we are happy to do some troubleshooting and try to replicate to provide some clarity. I totally understand that DURING an event, things can be hectic (and exciting) and it's hard to get real time feedback but anything we can do to mitigate in the future, please let us know. With that said, thanks for the kind words and the honest feedback Christopher! Their customer service is top notch. We were exploring different options and they were the most responsive to what parameters we had for a platform. They gave me access to build a test site before we even decided to go with them! Nothing! We have had no issues and they've been there the entire step of the way. Ask as many questions as you need - they have answers and will come up with the unique solutions for you. Seamless financial exports to our database and an easy platform to build events. Anyone on our staff can edit pages, log offline donations, and import into our database. We LOVE hearing that you've had no issues! This feedback made our day, thanks so much. If you ever have anymore questions, you know we're just a phone call away! Everytime I call QGiv, I get the most helpful customer service. I always discover the answer to my challenge! The user interface is not intuitive. I've been crafting Receipts monthly for 2 years, and I still don't understand how to obtain consistent formatting. Would think "copy & paste" would work (from one receipt to another), but it doesn't. I'd love an easier-to-use "Receipts" creation interface that offered more professional looking results. Exceptional customer service. Difficult to create professional-looking communication with donors. We use the "Receipts" function to craft individualized "thank yous" to monthly donors. We've seen an increase in our donor retention since adopting this practice. I love their product - but what is better than their product is their customer service. It is over the top GREAT! I haven't found anything I don't like yet - everything they do is a homerun! You can't beat thier customer service, they make sure you are completely satisfied and will walk you through any and every part of Qgiv. They are absolutely the best when it comes to making sure they meet and exceed your needs. We do fundraisers - and Qgiv allows us to do peer-to-peer as well as text to give and all of this networks with our software at BBBS. We think you're great too, Greg! Thanks for absolutely making our day with your feedback. We love our BBBS family, and couldn't do this without you and your support. "Long time user of QGIV"
What I like best is the customer service/ quick response time. Very friendly and a good experience. It makes it very easy for us to track ticket sales to events, and quick to download all the data and see what things worked and what didn't. Thanks for the feedback, Chelsea. We're happy to hear that Qgiv has helped with the logistics of your events (and also pleased to see that you're a long time user). We couldn't do it without your support! "Qgiv provides us a great tool for our online fundraising efforts!" I love that it is inexpensive to embedd a donation page into our website and collect event registrations. We use it for our golf tournament and event sponsorships. Deposits are daily and it would be easier if we could set them to be weekly or monthly. Reports in the free version are somewhat limited, but in Grow, work a lot better. We use QGiv to solicit online donations to further our online fundraising strategies. We have seen our online donations almost double in 2 years since starting to use QGiv and it has helped make Golf Registration much smoother and cost effective. Hi there! We love hearing that you've doubled your online registrations -- that's incredible! Thank you so much for this feedback. Since you've submitted this review anonymously, we can't reach out to discuss deposits. Please reach out to support@qgiv.com and we'd be happy to address this further with you. "Very happy with service at Qgiv"
Simple payment processing, lower cost than PayPal and better customer service. When we eventually upgrade to a better donor CRM, we're looking forward to integration with Qgiv that will save a lot of time. Thanks for the great feedback, Krista! Never hesitate to reach out to our Customer Experience team if you ever have any questions at support@qgiv.com. I like that Qgiv is simple to navigate on the customer interface and it is convenient for the end user as well. The features for the end user are one-time or the option to set up an account. The percentage rate charged is consistent. I would like to see the interest rate be a little lower. I believe it would make Qgiv a bit more competitive on the finance side. However when you look at Qgiv's customer service in comparison to some of their competitors - Qgiv is top notch. They have a free trial - at least give it a try. It is a simple program to use with great user interface. In addition the accounting side is simple to see as well. Easy user interface for my donors. Thank you for sharing! We're really happy to hear that your donors find it easy to give to you; that's really important. "You can't beat the product and service!" Qgiv's customer service is top-notch, with a responsive and professional team member to help each and every time. I hope Qgiv expands their services to include a flow from abstract management to event management. This product is so easy to use and is very robust. It's also reasonably priced and highly recommended. We managed sponsorships and exhibitor registrations with Qgiv. We still use Givi to manage contributions to our nonprofit. Thanks so much, Rhonda! We're always looking for ways to incorporate customer feedback into the platform, so be sure to send any feedback on how we could make things easier for you to support@qgiv.com. We'd love to hear from you! Qgiv has a very user-friendly interface and easily integrated into our website. When a donor covers the processing cost, a new processing cost is then calculated based on this higher donation. This is something we were not told when we initially signed up for the platform. We were using PayPal, but Qgiv is specifically designed for donations and therefore has helped us gather much more information that has helped our development team immensely. I would recommend Qgiv. We wanted a more user-friendly platform, and Qgiv helped us solve that. Since using Qgiv, we've seen overall higher donations. "Makes Fundraising One Less Thing On My To Do List"
It would be awesome if the peer-to-peer fundraising package were free. Just do it! The capabilities and the quality of service make it so worth it. Processing donations takes a lot of person-power and time. The Qgiv platform makes managing event registrations and donations a breeze. Better to work smarter, not harder, and Qgiv gives us that. Thank you, Erin! We're really glad Qgiv makes things easy-breezy for you. Let us know if we can help with anything! * We monitor all Qgiv reviews to prevent fraudulent reviews and keep review quality high. We do not post reviews by company employees or direct competitors. Validated reviews require the user to submit a screenshot of the product containing their user ID, in order to verify a user is an actual user of the product. Hi there! Are you looking to implement a solution like Qgiv?